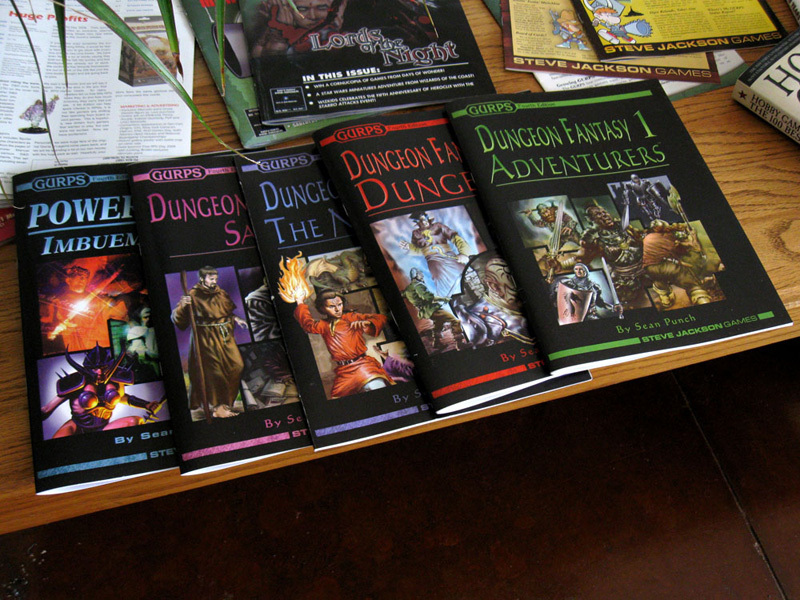 Yes, this is the stuff that just kind of lies around our office -- the proofs of the GenCon print run of the Dungeon Fantasy series and GURPS Power-Ups 1: Imbuements . These won't, of couse, be the only new releases we have. I have reliable reports that Munchkin Booty will be there, as will another GURPS book that I'm less sure of, but will be sure to holler about once I see the proof.